By the second semester of my freshman year at Harvard, I had started going to classes I wasn’t signed up for, and had pretty much stopped going to any of the classes I was signed up for – except for an introduction to economics class called “Ec 10.” I was fascinated by the subject, and the professor was excellent. Mr. Gates does not say who the professor was. And since this predates my time at Harvard by about a decade, I don't know. Perhaps Otto Eckstein, who taught the course for many years. The rest is history.......I became a lowly Head Section Leader of Ec. 10 and created the first Readings/Workbook for the course, with all the course wide problem sets, past exams, and solutions, etc., and he started Microsoft. 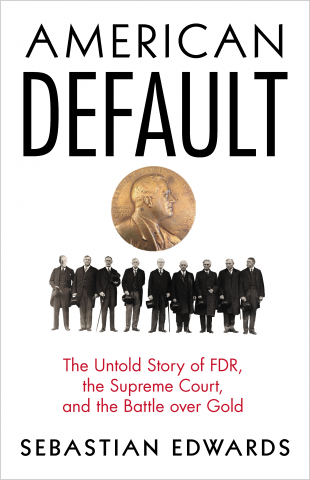 Great book by UCLA economist Sebastian Edwards about a key moment in American economic history. 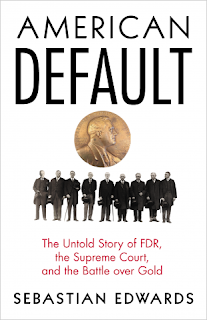 Many economists believe that the most important thing FDR did to help the economy recover from the Great Depression was to go off the gold standard. As part of that policy, he pursued laws that rewrote many bond contracts, annulling gold clauses. It was controversial then (and surely would be again if such an issue were ever to arise). Edwards does a wonderful job telling the story. Today's NY Times has a long but ultimately unconvincing article about Donor-Advised Funds (DAFs). The headline and tone of the article suggest something nefarious is going on. But unless you think that future charitable spending is less admirable than current charitable spending, nothing of the sort is the case. True, the money managers make some money from these funds, but they do for every pool of money they manage. Is contributing to a college endowment suspect because some money manager will be paid to invest the money? Of course not. Moreover, these fees need not be excessive. At the Fidelity DAF, which I use, I put the assets in low-cost index funds. True, there is lack of transparency. But charitable giving need not be public. There is no law against anonymous giving to charities. Nor should there be. Most important, the donor of the funds cannot get the money back to finance his consumption or that of his heirs. The money has to eventually go to IRS-approved charities. Putting money into a DAF is essentially a commitment to give that part of your wealth, plus all future returns on it, to charity. As such, DAFs should be applauded.